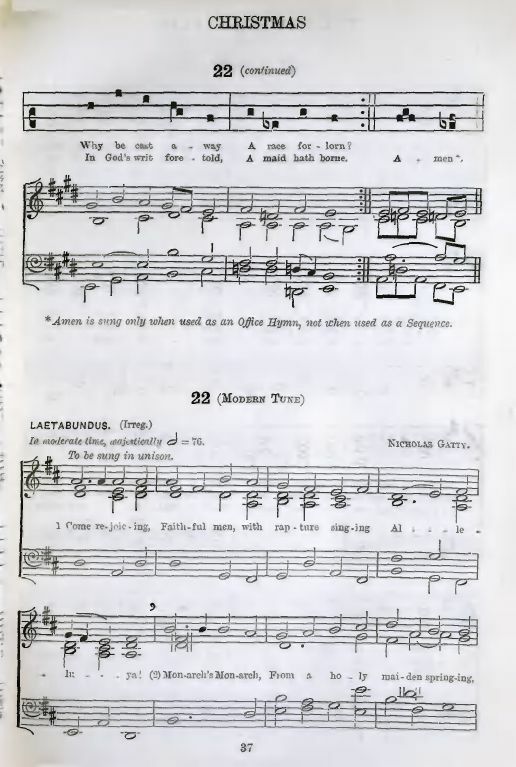 Music: First tune was from the Sarum Graduale, Mode V; the second was by Nicholas C. Gatty (1874-1946). 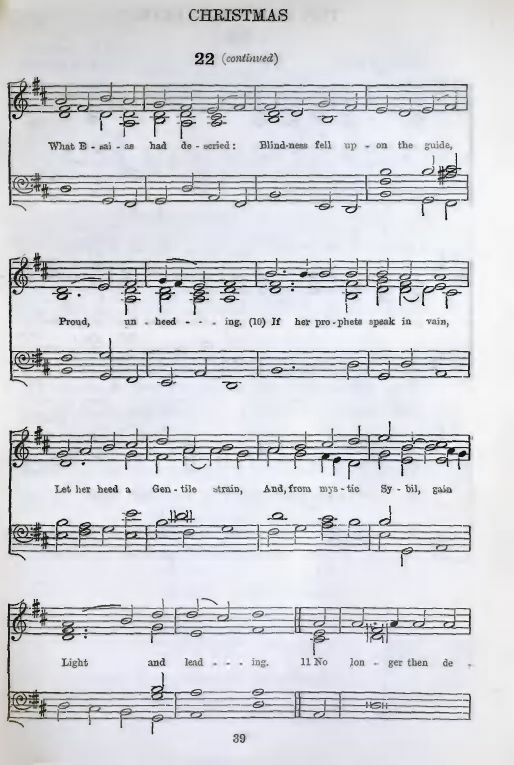 Source: The English Hymnal (London: Oxford University Press, 1906), Hymn #22a & b, pp. 34-39. A maid hath borne. Amen. 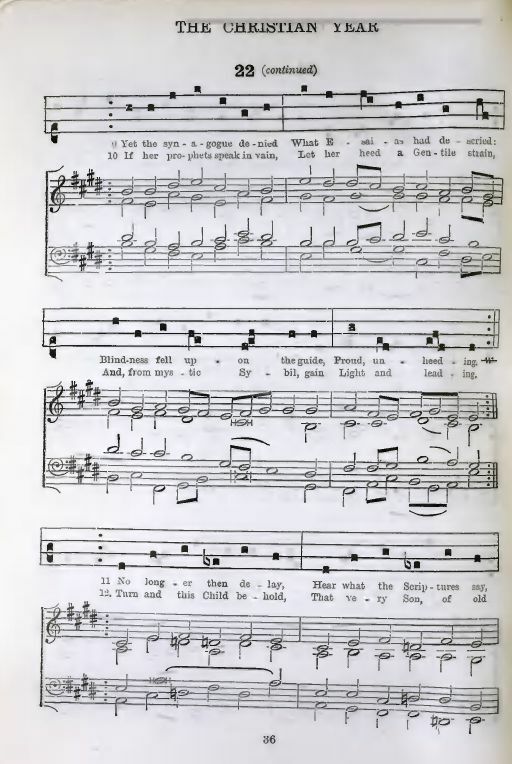 Sheet Music from The English Hymnal (London: Oxford University Press, 1906), Hymn #22a & b, pp. 34-39. 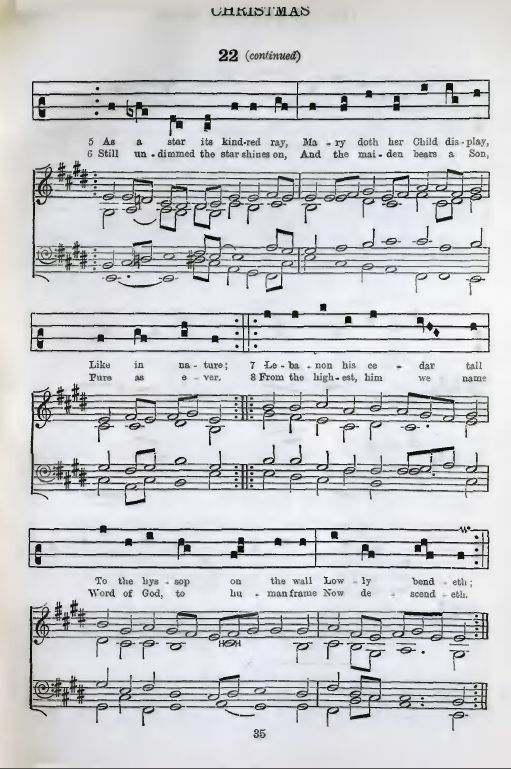 The Latin was not included in The English Hymnal. 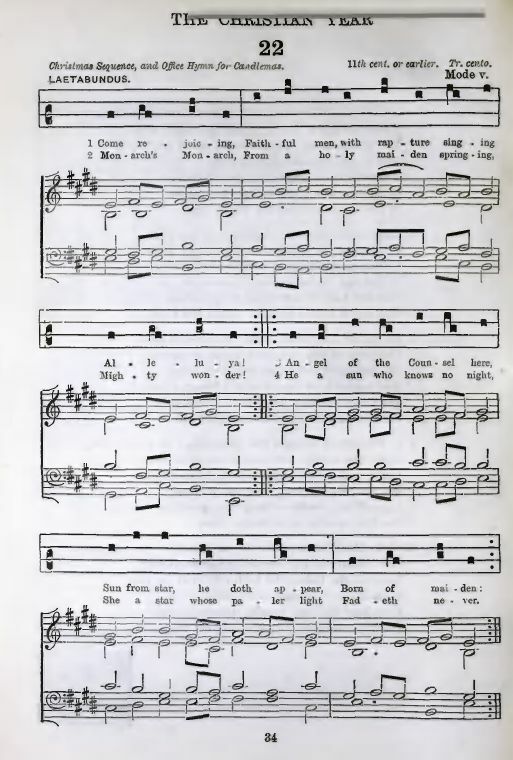 I have added it so that the reader can see the Latin source for each verse. 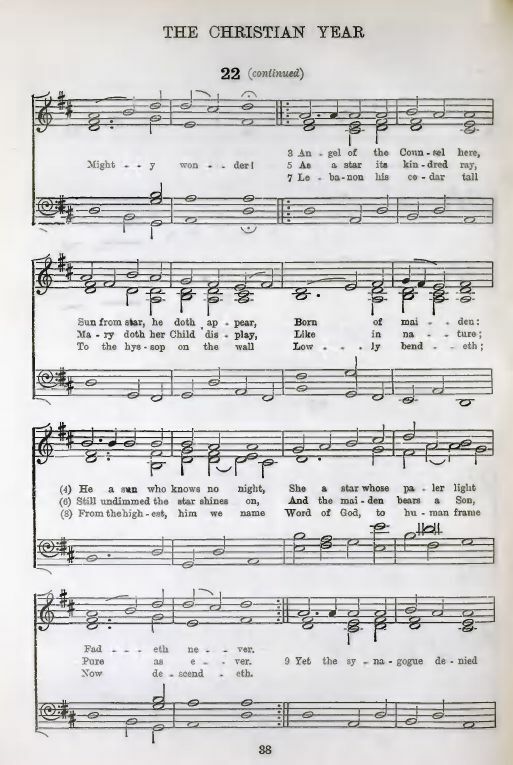 Compare: Faithful People, Sweeten All Your Song With Gladness (Terry, A Medieval Carol Book), with notes and additional musical settings.